Hello! 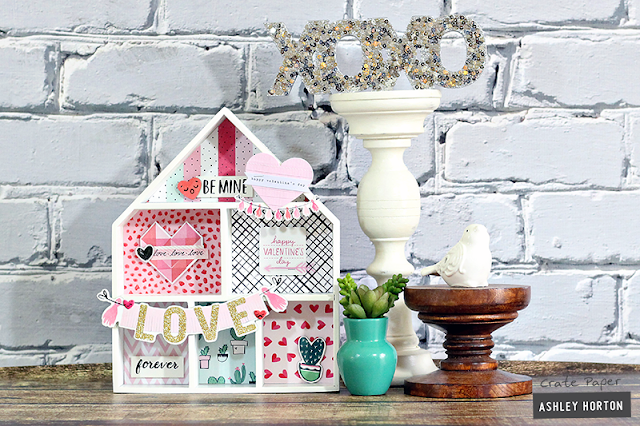 I'm stopping in to share some Crate Paper Heart Day home decor with you! 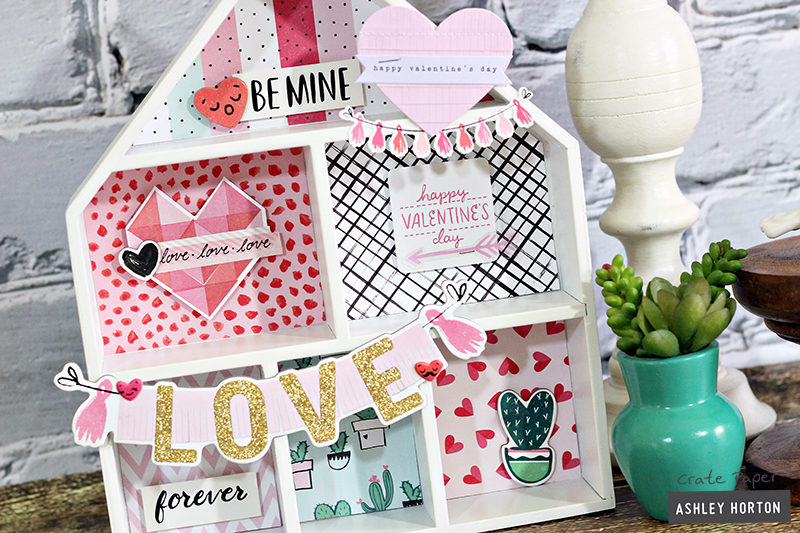 Valentine’s Day is right around the corner and if you’re looking for a last-minute idea, for a cute addition to your Valentine’s Day décor, then this is it! Local craft stores always carry items that can be altered and I picked up this cute wooden house from Target. I love the different sections it has, and they are perfect for embellishing with the Heart Day collection! I started with a plain white sheet of copy paper, and placed it over the bottom right section of the wooden house. I could see the outline of the open spot, so I placed a small mark with my pencil on the paper. Next I used my ruler to draw the lines and cut along them with my scissors. Then I layered it over the patterned paper I wanted to use, and it worked as a guide for cutting the perfect shape to fit inside the section. I added a bit of adhesive to the back of my paper and then placed it in the coordinating section. I repeated this process, until I had each section filled with a different patterned paper. Next up, came the embellishing! I used a mix of embellishments from the Heart Day collection to decorate the wooden house. I placed the large chipboard love banner and the fringe heart on the outside of the house, to create dimension and play up the 3D effect of the wooden house. Then I grabbed a few embellishments from the Ephemera Pack and the Chipboard sheet to add to several of the sections. I also included some phrase stickers from the collection to emphasize the Valentine’s theme of the home décor piece. 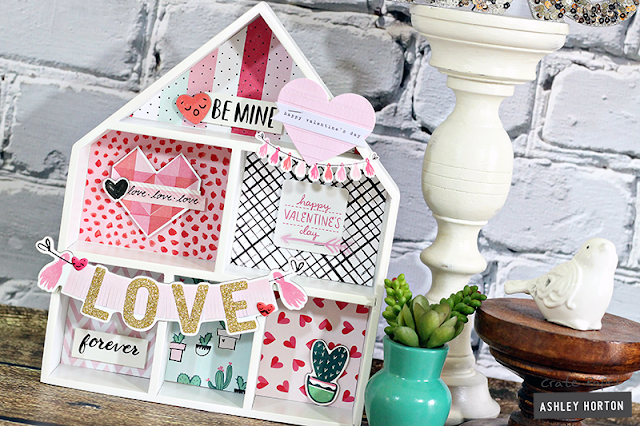 This is such an easy project, and definitely a cute addition to any Valentine’s Décor. You can easily mix and match the Heart Day collection to create your own unique look! 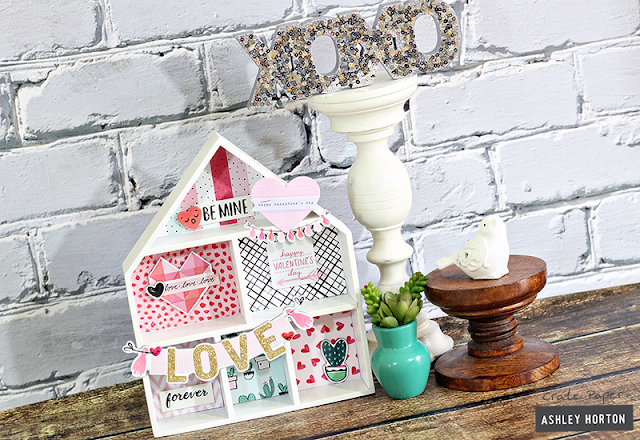 Altenew January Blog Hop WINNER!